The end of April sees the 15th Birthday of Stealth - and to celebrate we have sat down with a number of our residents and regular guests to run through the songs that remind them of their time at the club. First off we speak to one of our original residents, who went on to release on the likes of Jamie Jones' 'Hot Creations', Damian Lazarus' 'Crosstown Rebels', The Martinez Brothers' 'Cuttin’ Headz', Skream's 'Of Unsound Mind', Radio Slave's 'REKIDS' and his own impressive imprint, 'Leftroom' - it's Matt Tolfrey! 1. Alter Ego - 'Rocker': This was the ‘original’ anthem of Stealth, and I remember when I managed to get my hands on a promo vinyl of it at Selectadisc in Nottingham. 2. Ito & Star - 'Sudoko Kid': One of the biggest tracks I ever signed to my label Leftroom Limited, and still sounds great to this day!!! 3. Raudive - 'Here': One of the most mental breakdowns you will ever hear!!! 4. Gabriel Ananda - 'Doppelwhipper': 'Relentless driving beats that I played at the club for a very very long time!!! 5. John Tejada - 'Sweat (On The Walls)': I think the title of the track says it all!!! 6. Matt Tolfrey and Craig Sylvester - 'The Horn': The first record I ever had signed by Damian Lazarus to the mighty Crosstown Rebels. It used to be the anthem of Bugged Out at Stealth back in the day. 7. Aphex Twin - 'Windowlicker (Run Jeremy's X-Rated Lick)': The most requested record I ever used to play at the club, so much so I had to buy another copy because my original got worn out!!! 8. Mathew Jonson - 'Decompression': Nothing will ever beat the bass in this record. Pushed the Funktion One to their limit!!! 10. Dave Barker and Brett Johnson - 'Temptations And Lies': This record followed us from The Bomb to Stealth but was the soundtrack to my years spent in Nottingham. A big thank-you to Matt for taking the time to run us through his Stealth XV Selections. You can follow Matt's facebook page here, and listen to his most recent releases on his soundcloud page. As part of Stealth's 15th Birthday we have been looking back and creating Spotify playlists of the biggest tracks played in the club for each year we have been opened. We've just added the 2005 playlist, and will be posting more in the coming weeks on the Stealth Spotify page. Make sure you follow our page to hear them first. And finally you can celebrate the club's 15th Birthday with us on Friday 26th April when we welcome the one-and-only SKREAM to headline! More info: Stealth 15th Birthday with Skream. We've just released a new Spotify playlist featuring a selection of the Drum & Bass Classics alongside some more recent Jump Up Anthems and Heavy Rollers played by our residents at Stealth Nightclub in Nottingham. Check our new 'Dubstep Classics' playlist on spotify, featuring some of the Dubstep tracks which helped soundtrack Stealth Nightclub in Nottingham between 2006 & 2012! If you like the sound of this, please check the facebook event below for information of a one-off Dubstep Classics party as part of Stealth's 15th Birthday! More info/tickets: Stealth Free Dubstep Classics Party #MakeDubstepGreatAgain. We're looking at expanding the local DJs we have at the club! Stealth '90s Dance Anthems Rave! On Friday 1st March we will be once again hosting our very own '90s Dance Anthems Rave! Expect to hear the best in '90s House, Dance Anthems & Trance Classics! Website listing & Facebook event. Please attend the wristband exchange on New Years Eve at Rock City Box Office between 2pm-7.30pm. (Address: 8 Talbot Street, Nottingham, NG1 5GG). This will help cut down on queue times later in the night. If you are unable to make it to the Wristband Exchange during the day, you can exchange your tickets at Stealth or Rock City from 8pm. If you arrive at peak time (9pm-Midnight) without a wristband then please expect to queue. We are not authorised to issue loose wristbands, and all wristbands must be put directly onto customers wrists and secured. If possible please print your your ticket in advance, as this will allow quick scanning of the barcode and reduce entry times. All customers will need to provide photo ID to prove their age to receive a wristband, and then again to gain entry to the venues during the event. The only valid forms of ID accepted are: A valid photo driving licence, a valid passport, or an official ID card that holds the 'pass' hologram. All venues operate a strict zero-tolerance drug policy. Random searches will be in operation for both male & female customers. If you refuse to be searched you will not be permitted entry to the event and will have your wristband removed. Venues reserve the right to refuse entry. Please note all rooms and venues have a limited capacity. Once a capacity is reached, we will operate a one-in-one-out policy. PLEASE MAKE SURE YOU ARRIVE EARLY IF THERE IS AN ARTIST YOU SPECIFICALLY WANT TO SEE. Rock City, Stealth & Rescue Rooms all open at 8pm. There is no last entry time for Stealth, Rescue Rooms & Rock City. The event curfews at 6am. There is no dress code - T-shirts, Trainers etc are all fine. Final Release Tickets are available via Alt-Tickets here: Stealth NYE Tickets. Ticketing issues/questions: email: customerenquiries at alttickets dot com. Any other questions: please message the Stealth Facebook page. Please drink responsibly and enjoy the event! As a Club Crew you will be paid to work two/three shifts with a partner each week. - In tune with the culture, interests and trends of our club and venue guests. - Socially confident able to chat and mingle with guests and assertive enough to encourage positive behaviour. - Open-minded and non-judgemental with good listening skills so that you can support vulnerable or distressed guests. - Pro-active and able to work on your own initiative and with other staff in a busy club environment. - Resilient enough to cope with verbal abuse and keep calm in challenging situations. - Keen and happy to attend structured training. Previous experience working in the night time economy or with the target age group would be an advantage. Here is the direct link to the spotify playlist. We are throwing a Free Party with Nottingham Funk & Soul Club on Friday 16th March. For more info check out the facebook event & facebook page. On Friday 9th March we welcome back one of the stalwarts of UK Garage, House, Grime & Bassline, and one-third of supergroup TQD (alongside previous Stealth headliners Flava D & Royal T) to Stealth: DJ Q! "My first pick is unquestionably one of the biggest Bassline tracks of all time. This bootleg samples 'Gonna Fly Now' by Bill Conti, which is most known for being the theme to Slyester Stallone's 70's Boxing film 'Rocky'. After featuring in his sets for close to a decade as an unreleased dubplate, DJ Q's bootleg was finally released on 12" vinyl by Local Action back in 2015." "One of DJ Q's instrumental bangers ('Hustling') was pressed up to a self released white label 12" in 2007, backed with a vocal version by MC Bonez. After building up a strong underground following, the track was signed to Ministry Of Sound/Data for a full release. 'You Wot' became one of the first Bassline tracks to hit charts & daytime radio upon it's release back in 2008, and helped spawn the likes of 'The Sound Of Bassline' CD compilations. A decade later the track is still one of the genre's biggest classics." "This is another quality DJ Q bootleg, which dropped a couple of years back as a free download via Fact Magazine & DJ Haus' Unknown To The Unknown. It contains samples from a number of my favourite records - most notibly Dead Dred's Jungle classic 'Dread Bass' and the anthemic UK Garage track 'RIP Groove' by Double 99 - all rolled into one Speed Garage/Bassline club smasher." 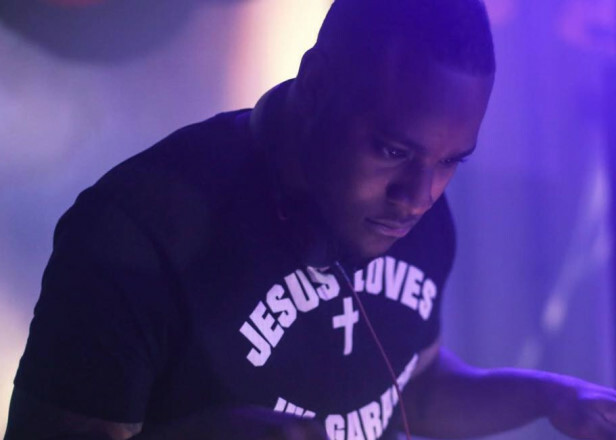 "For me this was the standout track from the debut T Q D (Royal T, DJ Q & Flava D) album 'ukg' - which dropped back in March 2017, and helped soldify the trio's position as one of the most exciting acts in the Bassline/UKG scene." "S.I.A's 2000 track 'Little Man' was remixed at the time of release by Wookie under his 'Exemen' moniker; which went on to become one of the classics of the UK Garage scene. A decade or so later DJ Q re-worked Wookie's remix, bringing it up to date and it was soon featuring in the sets of the likes of DJ EZ. Check out this link to DJ Q's facebook page for a link to the free download." DJ Q returns to Stealth on Friday 9th March, alongside Yeah Yeah & What DJs & lots more. For tickets & more info check out the facebook event & the website listing. Please attend the wristband exchange on New Years Eve at Rock City Box Office between 2pm-7.30pm. (Address: 8 Talbot Street, Nottingham, NG1 5GG). This will help cut down on queue times later in the night. If you are unable to make it to the Wristband Exchange during the day, you can exchange your tickets at Stealth or Rock City from 8pm. All set times are subject to change, and please follow the Stealth twitter for any adjustments: www.twitter.com/stealthclub. Last entry to Rock City is 4am. To end your night here you must arrive before this time. There is no last entry time for Stealth & Rescue Rooms. Any other questions: please message the Stealth facebook page: www.facebook.com/stealthnottingham. Our full 2018 schedule will be released in the next week or so. Keep an eye on the Stealth facebook page for more info!